Have you wondered about something related to sleep, but just can’t find the answer? Lots of people do, and that’s why we created Ask SleepBetter. 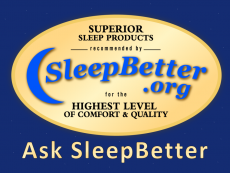 You can ask your own question on the SleepBetter Facebook Page, or by using our Ask SleepBetter contact form. We will try to answer as many questions as possible, but we are not able to answer queries about physical issues or medicinal issues. Those should be addressed face-to-face with a physician. Today’s question is about sleep and CPAP machines. While we can certainly understand that learning to sleep with a CPAP machine is an adjustment, it’s a medical necessity for some people. Talk to your doctor about the best CPAP model for you. Get a CPAP mask that fits well. If your CPAP machine seems outdated, try to upgrade. Tell your doctor about any symptoms you experience. The good news about CPAP is that works for nearly all sleep apnea patients. If you learn to get comfortable with your CPAP machine and you find that you still can’t sleep well, then a conversation with your family physician or a sleep doctor may be in order, to work toward discovering what else is causing your sleeplessness. Ask SleepBetter: Why Can’t Seniors Sleep as Well?